One of my favorite people in the whole world, Natasha, agreed to do the following guest review for me -- thanks for helping! Where did I get the book? Jen lent me the copy, and she received it from the publisher. I have really enjoyed Ms. Garwood in the past. 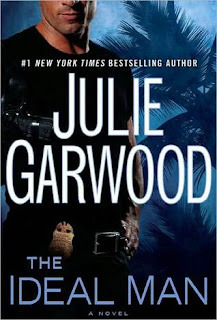 In my opinion, Julie Garwood is one of the best romantic suspense/contemporary romance type authors. Please don’t get me wrong, there absolutely are points in her stories where I have to suspend my beliefs and understanding, but you know what? I don’t have to work hard at it. I find her books to be very entertaining and exactly the sort of thing that takes you away. I suppose you could say a very vacation read. I love vacation read books! The interactions between Dr. Ellie and Agent Max were delicious. I want to just lick Max up!! There was more to this than what the blurb says. The story was rich with back-story and details that really help you to connect to the characters. They weren’t perfect. But that makes it better! I received this from Penguin in exchange for an honest review! Thanks for letting me borrow Jen! I was really disappointed in this book. It took me a long time to get into it and put it down several times. Normally I can't put down a Garwood novel and read it cover to cover forgoing sleep when necessary. The conversations were choppy and the amount of detail detracted from the story because it just didn't flow. It read like an amateur novelist during the conversations. I did like the characters a lot and wish that I could have enjoyed their dialogue more because they had merit. It was also such a contrived and convoluted plot that had elements that were not essential to the story and should have been left out. Some of the relationships were poorly developed and not resolved, especially the relationship between Ellie and her evil sister, Ava. I kept waiting for Ava to "get it" or at least get what she deserved but then it just kind of fizzled out. I wasn't able to really lose myself in the book and then it wrapped up with a few quick lines. All of this being said, I would still rather read a bad Julie Garwood book than a good book by many other authors.